In case you hadn’t heard already, Super Smash Bros Ultimate has the biggest roster of iconic characters yet. There’s 74 in total, and that’s not even including the Echo Fighters. Every single fighter that has ever featured in a Smash game is here, and there are a few new faces as well. To help you get settled in, we’ve been busy building character guides for each fighter set to feature. 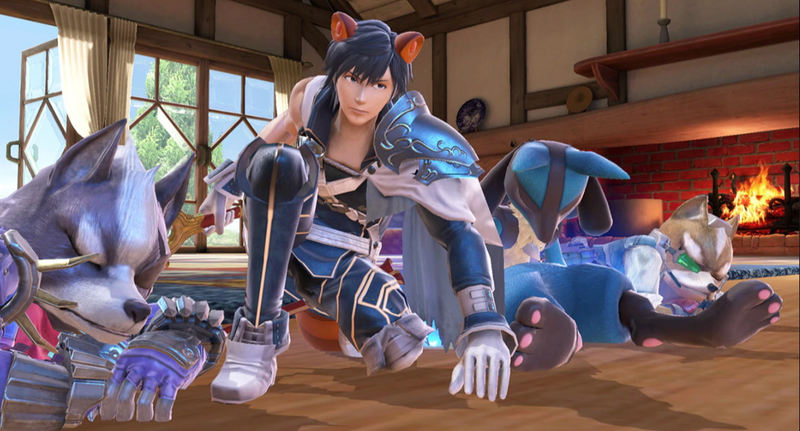 In this Super Smash Bros Ultimate Chrom Guide, we’ll be looking at Chrom, who is an Echo Fighter of Roy. We’ll detail his Final Smash, Alternate outfits and the upcoming Chrom Smash Bros amiibo. For details on the other characters in the game, head over to our Super Smash Bros Ultimate Characters Guide. We’ll be regularly adding Character guides to it in the lead up to launch, so check back to see if we’ve covered your favorite character. 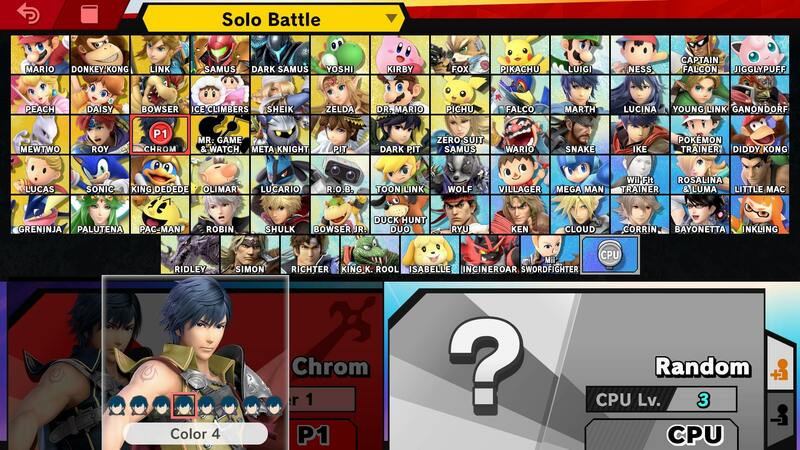 Smash Bros Ultimate adds Chrom into the mix. It’ll be his first appearance in the series, and he’ll be serving as an Echo Fighter for Roy. This’ll no doubt make Fire Emblem fans very happy indeed, especially seeing as he has slight differences to Roy in terms of playstyle. 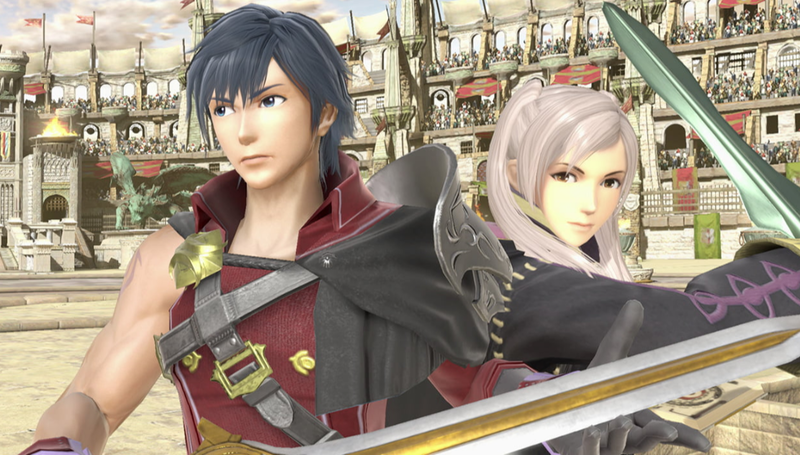 Let’s take a look at what there is to know about Chrom in Super Smash Bros. Ultimate. Chrom has a decent variety of moves in Super Smash Bros. Ultimate, all of which you can find just below. Hit Final Smash, Awakening Aether, can hit multiple times if even a single hit lands. Let’s start by looking at Chrom’s Final Smash. Despite being an Echo Fighter, Chrom has a unique Final Smash called Awakening Aether. It is inspired by his moveset in Fire Emblem Awakening and looks to be pretty powerful. You can check out Chrom’s Final Smash in the video embedded above. Chrom is an Echo Fighter of Roy, but does have some differences. We’ve listed everything we’ve noticed so far, below. That’s everything on Chrom in Super Smash Bros Ultimate. To check out some more details about the upcoming fighting game, head over to our Super Smash Bros Ultimate Guides Hub. It’s got trailers, a look at the new amiibo, some stages and more.